The summer holiday is a long stretch of time to fill, and unless you are a parent you won't know the havoc that a bored child can wreck. Youtube and Netflix can save you the pain, but unless you want your little monkey to turn into a sloth, we suggest you sign them up for some fun programme to learn something new. The internationally acclaimed Helen O'Grady Academy has finally come to Kolkata for the first time and they are hosting a summer speech and drama programme for kids. Don't go strictly by the name because the programme is meant to help your child pick up the most important life and social skills. 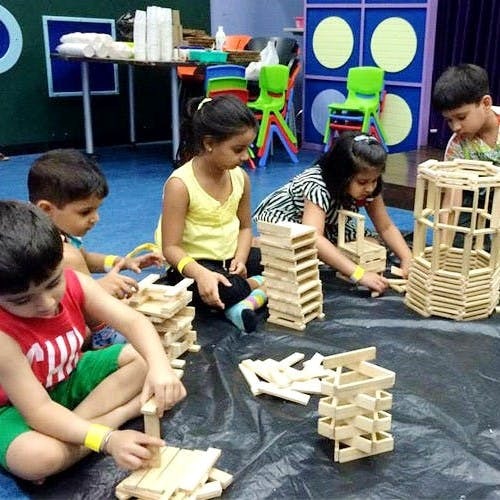 Aimed to sharpen and develop the critical thinking, creative skills, collaborative attitude and communication of your bubs, the programme is less about teaching techniques of drama and more about self-development. A four-month long programme, there are trained instructors and separate batches for each age group, ranging from ages 3 to 18. Pick a venue by your convenience (there are four centres to chooses from - The Doodle Room, BusyBee Academy, Wild Strawberry, Open House in Salt Lake and Shakespeare Sarani), but don't forget to attend the trial class before signing up. The programme has a monthly fee of INR 1,600. The trial classes start on April 7 at BusyBee Academy. Get in touch with them to know of the trial classes in other venues.